Please email intermountaingcsa@gmail.com, if you have a job you would like to be posted. (Please send in Word format). If you would like your vacancy emailed out to our membership, there is a $75 fee. Contact the Utah GCSA for information. Lakeside Golf Course, a city-owned 18-hole course with a premier driving range, is currently seeking a skilled and motivated individual to serve as the Golf Course Assistant Superintendent. Under the Golf Course Superintendent's supervision, this individual will assist in directing and participating in the full maintenance of the golf course, including tees, greens, fairways, cart paths, grounds, and other facilities. With approximately 5,350 residents, West Bountiful City is situated 9 miles north of Salt Lake City along the beautiful Wasatch Front Mountain range, and is considered to be a rural oasis in a rapidly urbanizing area. The City has owned and operated Lakeside Golf Course for over 25 years, creating an environment where golfers have come to expect a high quality course in friendly, relaxed atmosphere. The course’s maintenance operations have traditionally employed 2-3 full-time employees and over a dozen seasonal workers. A successful applicant will be a hard-working individual with 3 years experience as an Assistant. A 2-year Degree or Certificate in Turf Management (or related field, like agronomy, horticulture, plant science, soil science) or an equivalent combination of education and experience is required. 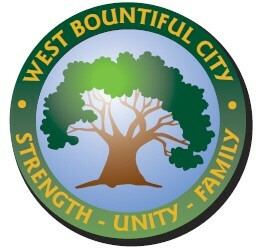 Please see www.wbcity.org for the full job description and an application. 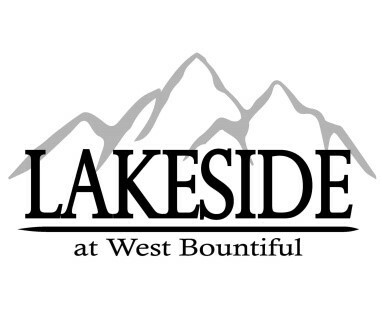 Along with a standard application, interested individuals should submit a cover letter explaining their vision for Lakeside Golf Course, a complete resume, and references to: West Bountiful City, Attn: Cathy Brightwell, City Recorder, 550 North 800 West, West Bountiful, UT 84087 or via email to jobs@wbcity.org. Applications will be accepted until the position is filled. To be considered in the 1st review of applications, submissions must be in by April 12 at 4:00PM. Questions should be directed to Cathy Brightwell at (801) 292-4486. Pre-employment drug screening and background check are required. West Bountiful City is an Equal Opportunity Employer. Under the Golf Course Superintendent's supervision, directs and participates in the maintenance of the golf course, including tees, greens, fairways, cart paths, grounds, and other facilities; supervises the maintenance and repair of motorized and other mechanical equipment; and does related work as required. The assistant superintendent may serve in the superintendent's capacity during his/her absence. The omission of specific statements of duties does not exclude them from the position if the work is similar, related or a logical assignment to this class. Assists in planning, supervising, and participating in the maintenance of greens, tees and fairways; schedules work; and supervises the employees and the use of the equipment. Instructs equipment operators on the operation and care of mowing and other equipment; supervises pesticide applications and/or operates and calibrates pesticide application equipment; and supervises and participates in the operation and maintenance of pumps, and in the maintenance of irrigation and drainage systems. Assists in personnel management and evaluation, employee safety and personnel discipline. Promotes harmonious working relationships with employees and the golfing public. Diagnosis turf, plant nutrition and pest control needs, fertilization and herbicides as well as documents appropriate record-keeping. Maintains compliance with all local, State and Federal laws pertaining to chemical storage, handling and disposal. Oversees safety requirements, ensuring that all staff are properly trained in their areas as well as on all necessary equipment. Assists in the prioritizing, preparation and assignment of daily and weekly work schedules. Assists in the forecasting and planning of the annual operations budget. Oversees and participates in repairs of broken lines or valves for irrigation system. Also assists in the planning and development of irrigation systems, including redesigns and modifications of existing irrigation system. Assists in the construction and maintenance of the grounds and facilities. Directs seasonal staff and participates in the planting of new vegetation, the replacement, spraying, pruning and trimming of trees and shrubs, the preparation of soil plant beds for aesthetically pleasing arrangements and tending to high stress areas. Supervises and assures preventative and corrective maintenance on all equipment. Provides technical, operational and safety training for employees to ensure that staff is working within OSHA, city safety, state and federal guidelines for safe working conditions. Assists in determining work procedures, preparing work schedules, and expediting work flow; studies and standardizes procedures to improve efficiency and effectiveness of operations. Assists in supervising and controlling expenses associated with maintenance operations, including payroll, supplies, chemicals and fertilizers & equipment. Assists in preparing reports, including annual operating budget and capital improvements budget for the golf course maintenance function. Assists in projecting needs for equipment, materials, and supplies. Assists in the preparation of specifications, estimates, and bids for machinery, equipment, and contractor services. An associate degree or 3 years of experience as an assistant superintendent. Demonstrate continual trustworthiness to handle City funds.